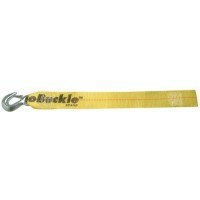 The additional nylon soft loop hook enables the winch strap to attach to PWC's bow without fear of s.. 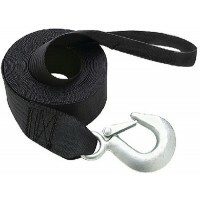 Heavy duty winch strap features polyester webbing and a 9, 200 lb. forged steel snap hook. The 2" wi.. Innovative Latch-Lok hook - simply push on and squeeze off. 5, 500 lb. 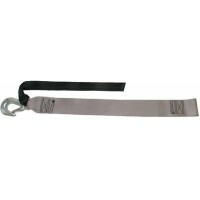 Polyester webbing with loop e..
Nylon webbing with heavy duty zinc plated hook. Comes with sewn loop on end or cut so that it can be..
One-piece aluminum frame features an attractive, completely enclosed design for a sleek and stylish .. Designed for PWC trailers. Two-way ratchet system with offset handle. 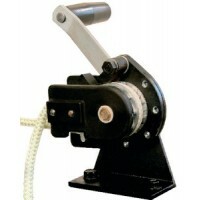 Includes 2" x 12' PWC winch st.. Performance Series Comes standard with poly protective gear covers and 20' nylon strap with hook and..
Models T900, T1100 and T1300 easy-to-use grabber one-way ratchet frees wheels in off position. Two-w..
XLT® Series includes stylized polypropylene shell with strap and hook as standard features. Features..
One fast speed for quick pull-in, a second low speed for increased mechanical advantage. Shift lock ..
Winch handle 10 Fits: 596A, 597A, T2000, T2500, T2501, T3700Length: 10"..
Winch handle 7 Fits: 229, 527M, T700, T850, T900, T903, T1000, T1100, T1400, T1600, T1202, T1402Leng..
Winch handle 8 Fits: T1200, T1300, T1500, T1800, XLT14Length: 8"..
Nylon webbed strap with a hook and a bow loop made for personal watercraft trailer winches. Size: 2".. 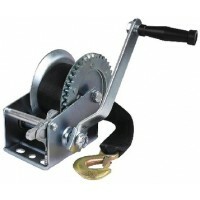 The revolutionary SKYWinch is different than traditional winches because it has no straps or cables ..
30 amp. For 412, 602, 60340 amp. For models 71260 amp. For models 77712, 812, 77912, 77192, 77114, S..
Power-in, free-wheel out. Electric 12V cable winch with adjustable clutch. 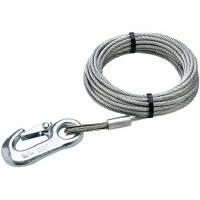 Switch and 25' lanyard co..
Galvanized cable and hook for Powerwinch trailer winches or other common applications. Size: 7/32" x.. Remote power-in/freewheel-out operation. With positive lock when not winding. Easily operated with T..
For use with Powerwinch models when power is unavailable. Fits: Models: 315, 712, 912, 915, T1650,T2..
Winch socket Fits: 712, 912Material: Plastic.. Male plug Fits: RC23, RC30Material: Plastic..
On/off switch for winches Fits: 77712, 77912, 812Description: Spring Loaded Switch..
Male/female socket f/12v winc Description: Plug & Socket Kit..
Wireless remote power-in, freewheel-out. 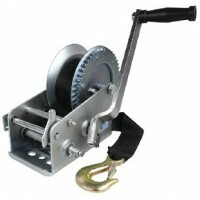 12V remote control trailer winch. Convenient light enclosed..
Includes thrust bearing, thrust washers, and springs. For: 712A 912 T2400 T4000 ST712 VS190 AP3500.. Forged steel electrogalvanized. A: 4-1/4"B: 11/16"C: 3/4".. Forged steel electrogalvanized. A: 3-7/8"B: 11/16"C: 3/4"..
Nickel plated steel. Size: 3-7/16" L x 11/16" ID EyePkg. : Bulk..
Nickel plated steel. Size: 3-7/16" L x 11/16" ID EyePkg. : Card.. Constructed of zinc plated steel. 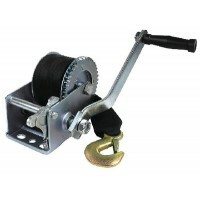 Features 1 or 2-way ratchet with free spool center position. 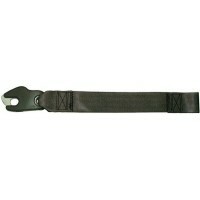 Has o..
High strength 2" wide polyester strap with 4000 lbs. break strength. Safe working load of 1000 lbs. ..
Galvanized 7 x 19 aircraft cable. 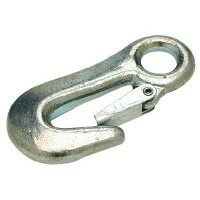 Heavy duty galvanized snap hook. 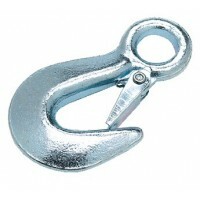 Size: 3/16"HookStrength: 7, 000 l..